As President Donald Trump tries to make the case for staying indefinitely in Afghanistan, the stakes for those actually living there are rarely broached by US corporate media. 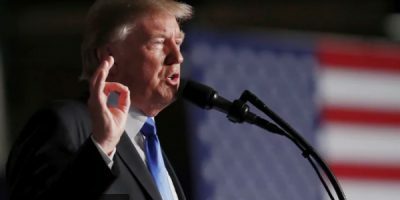 In dozens of write-ups, recaps and reports on Trump’s “major” Afghan War speech, almost no outlets took time out to note the plight or condition of the people the US is nominally there to save. The New York Times (8/21/17, 8/22/17), Washington Post (8/21/17), Chicago Tribune (8/22/17), CNN (8/21/17, 8/21/17), NBC News (8/21/17), ABC News (8/21/17) and CBS News (8/21/17), among others, didn’t mention the Afghan death toll at all in their summary of events in the region. Almost all, however, reserved airtime and column inches to mention the number of US soldiers and cost to the US treasury—presumably the only moral metric that matters. One notable exception was Ali Velshi at MSNBC (8/21/17), who did mention live on air how many Afghans were killed in the first half of 2017—a scope curiously limited to the term of the current Republican president, but an improvement on silence nonetheless. US media also continued their rich tradition of not blaming the US or Trump for the war—instead laying responsibility at the feet of some unknown geopolitical dark matter that has forced the US to occupy Afghanistan permanently. The US isn’t waging ongoing war in the Central Asian country; it is simply “stuck,” according to the AP (8/21/17) and the Washington Post’s Karen Tumulty. Trump isn’t continuing the occupation; according to the Sacramento Bee (8/21/17); he “Keeps US Stuck in Afghanistan Quagmire.” The US doesn’t seek further war and occupation, but to “break free from the quagmire,” the Chicago Tribune(8/22/17) spells out. * Bush, Obama and Trump didn’t make a deliberate choice to bomb Afghanistan, according to PBS’s Judy Woodruff (8/21/17); attacking the country just became “the burden of three presidents.” War was consistently depicted as being thrust upon the US government by forces outside of its control. The number of Afghan civilians killed during the 16-year US military occupation is well over 31,000, according to researchers at Brown University. The average American couldn’t possibly know this fact, since it’s almost never mentioned when weighing the cost/benefit ratio of further military occupation and bombing. Just as the thousands killed in Yemen by US-backed Saudi bombing don’t inform coverage of the famine there, the causal effect of US military action on poor, faceless brown people is never clearly laid out. The US bombs and, on a totally separate note, people are dying. That the United States may be causing the suffering, and could choose to stop doing so, is never really considered, much less argued in any meaningful way. *The Chicago Tribune editorial does mention civilian deaths, referring to a 2016 UN report, but the paper attributes them solely to “ambushes and suicide bomb attacks” by insurgent forces, whereas the UN holds the US and the US-backed government responsible for nearly a quarter of the carnage there. The Tribunealso misstates the UN civilian death toll more than threefold, confusing deaths with casualties (which include injuries).